Youth disengagement in politics has been a significant issue in Australia over the last few years, and is something which has been reflected within our national public discourse. In 2013 Kevin Rudd, our PM at the time, addressed the problem of “switched off” youth in a speech following his successful leadership coup. He said he understood young Australians’ disengagement and admitted the current political system and parliament were a “huge national turn off” for them. A poll conducted by the Australian Greens around the same time found that 82% of young people were interested in politics and current affairs, but 59% were frustrated with the political climate. A team of VCE students from Glen Waverley College—who clearly are engaged with politics and, rather than turning away, are voicing their concerns—have tackled the issue during this year’s YMCA Victorian Youth Parliament held at Parliament House. Their ‘Youth Representation in Local Councils’ bill, involving the implementation of four youth ambassadors within local councils across the state, was passed unanimously on Tuesday, June 30. It will now be handed to Minister for Local Government Natalie Hutchins for consideration and could potentially be introduced as legislation. 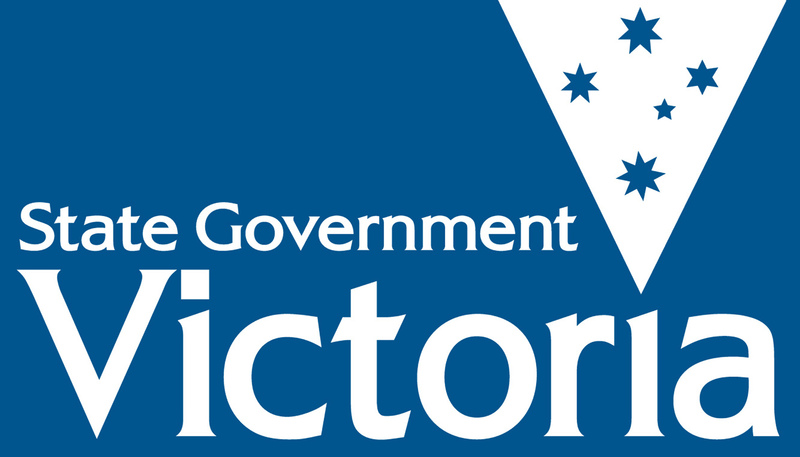 So far, over 25 bills from the Youth Parliament program have been adopted by the Victorian Government. The Glen Waverley students’ bill calls for the appointment of four youth ambassadors, two female and two male, in all local councils across the state who—while they themselves will not be able to legislate—will advise councillors on issues that are important to youth in their area. 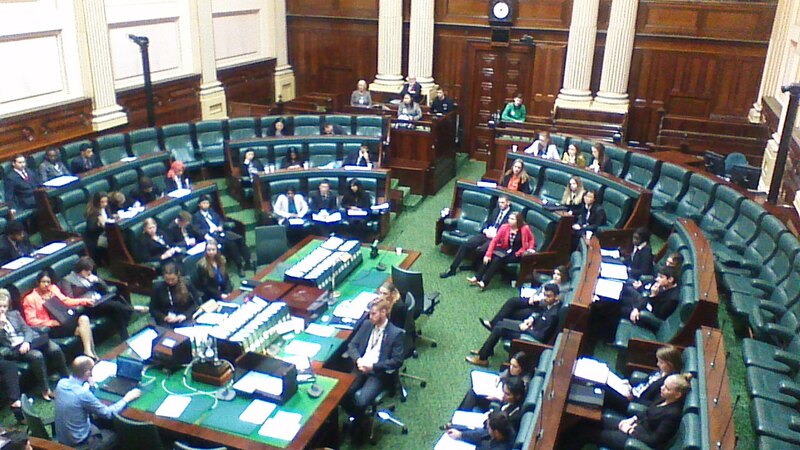 The debate, which took place in the Legislative Assembly at Parliament House, addressed concerns regarding potential gender discrimination and the amount of youth ambassadors not being adequate for councils which govern for hundreds of thousands. A number of amendments were passed, the most significant being the exemption of councils with existing programs similar to the one proposed in the bill. This was to ensure any current programs are not weakened as a result of the bill. Team member and bill sponsor Christopher Stackpole, 18, said “we the passionate few are a minority in our state”. According to Mr Stackpole, there is “a lack of interest and lack of opportunity for young people to make themselves heard” within local government. “We believe that more consistent, prominent, and integrated positions through which young people can make themselves heard are necessary to avoid the political alienation of a generation,” he said. Mr Stackpole thinks the youth of today have the potential to bring the change we so need in our political landscape, and getting them involved in local government is the essential starting point. “We need now, more than ever, capable individuals to tackle the problems of the future,” he said. During the debate Taylah Stretton, 17, also from the Glen Waverley team, cited a survey conducted by The Australia Institute in 2013 which revealed 47% of young Australians did not believe a particular party represented their views. In a press conference afterwards, she said her team was pleased their bill passed and she hopes actual MPs will consider adopting it. Glen Waverley team member, Aruni Jayawardene, 18, addressed the concerns regarding potential underrepresentation within councils that have a larger population and deal with higher numbers of youth. “There could be more than four youth ambassadors, but then it depends on the size of each council and how many youth are in the area,” she said. Wodonga councillor Eric Kerr sat in on the debate in the Legislative Assembly. Cr Kerr is also the Labor candidate for the federal seat of Indi, which Sophie Mirabella recently won Liberal preselection for, currently held by independent Cathy McGowan. He said he supports the idea of the Glen Waverley team’s bill and said it was better than the many youth council programs out there. “I’m very against youth councils for young people who are 18 and over. If young people like myself can get on council at 18, which is quite legal and quite alright and should be encouraged, why should people who are 18 and over be in sort of mock situations where it almost diminishes the role they could be having?” he said. He believes the notion that young people are disinterested in politics is a myth. “In reality, they’re probably the most opinionated group of any age range, however, they lack political role models and what they do see is absolutely crazy—it’s a rabble—so it turns them away,” he said. Young people have always been strong advocates for social justice with issues such as indigenous rights and women’s rights, according to Mr Kerr, and they remain at the forefront of social issues such as asylum seekers and marriage equality. “The more we can get young people engaged, the better society we have,” he said. Melbourne City councillor Dr Jacki Watts also voiced her support for the bill. She mentioned citizen juries such as the Melbourne People’s Panel, which Melbourne City Council commissioned late last year, as another avenue for politically engaging young people. She said the 43 people in the People’s Panel were selected in a way which ensures the demographic of the municipality was accurately represented, and this included some young people. Dr Watts stressed the importance of adequate training for youth representatives, which she believes citizen juries provide. She said citizen juries are “the way of the future” and if they run alongside elected representatives, it will make for some very informed decision making. “I resist the whole notion that because you’re young or you’re old it prevents you from having empathy and an understanding of the world and other age groups,” she said. Posted on August 22, 2015 May 30, 2016 by vicpressgalleryPosted in 2015, YouthTagged Democracy, Local Government, Springst, Victoria, Youth, Youth Parliament.